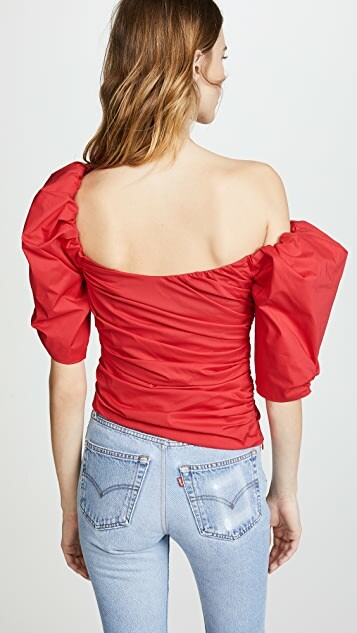 Petersyn is the master of ruffles, flounce, and frills. 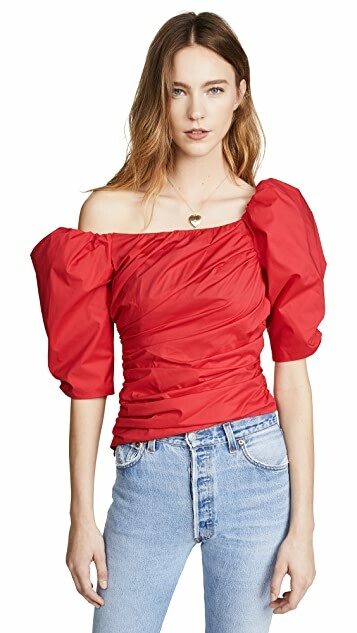 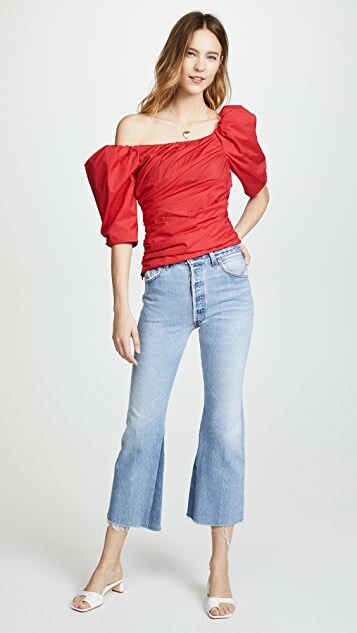 This striking shirt is designed with mega puffy sleeves an an off-shoulder silhouette. 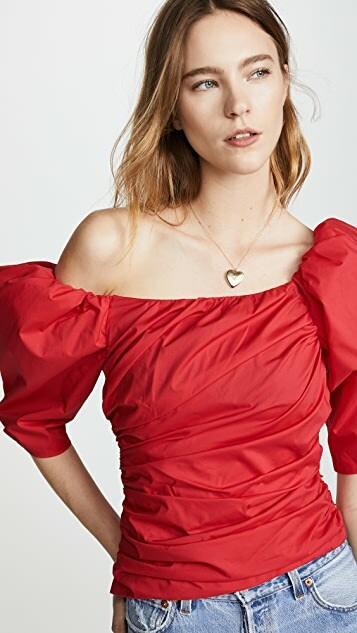 It's an easy dress-up piece, whether you’re going to a cocktail party or a nightclub.